Hi guys, today we area making another calming soap for your skin. This is a very basic combination of ingredients that will soothe just any skin type. We begin with a natural Aloe Vera base made by Soap Lab. To this, we also add aloe vera extract. Aloe vera is known for its soothing and cooling properties, and its also moisturising for the skin. Its commonly used for skin problems such as eczema for its healing and anti-inflammatory benefits. We then use calamine to treat itch and sunburns. 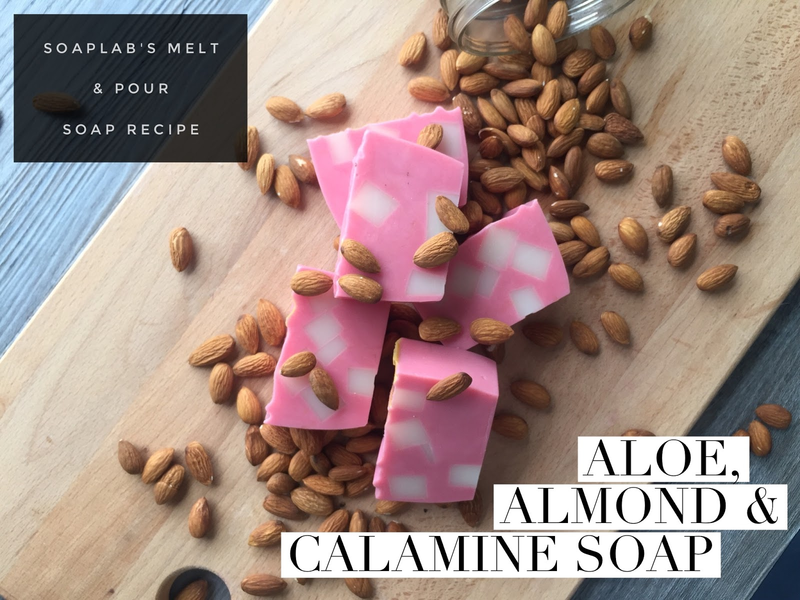 Calamine lotion is a well known medication for sunburns and by using calamine powder in this soap, we are bringing the same benefits into the soap as well. We decided to use Almond fragrance oil for this soap, as it went so well with the mild scent of aloe vera...just slightly nutty and fresh. You will definitely love this..